Savannah River Nuclear Solutions (SRNS) is a leader in innovation, continuous improvement, safety and sustainability. 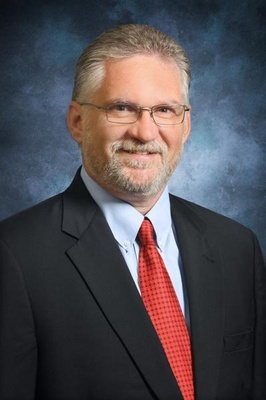 Join us this month for an update on the missions at SRNS and what the future holds. Guest speaker is Stuart MacVean. 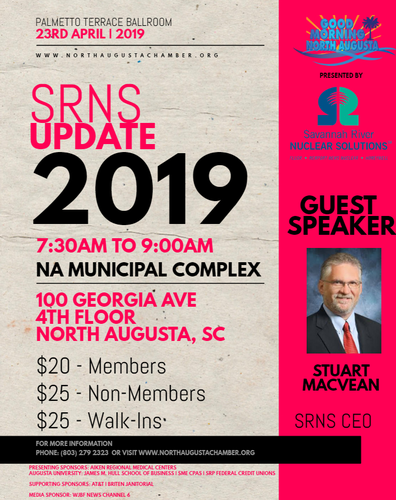 Mr. MacVean will be discussing a new day at SRS: an update on SRNS hiring in 2019, and how the proposed plutonium pit mission and increased tritium production investments are supporting the economic vitality of the CSRA. Cancellation Policy: Due to obligations to the venue and catering, we will not be able to honor cancellations for this event. However, you may send a guest in your place as a substitute. Please notify us by emailing Admin@northaugustachamber.org prior to the event. NO SHOWS WILL BE BILLED.